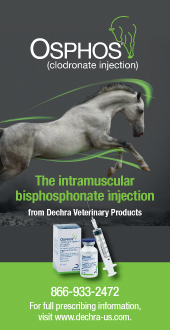 What is the Adequan®/USDF All-Breeds Awards program? How does my horse become eligible for this program? What memberships/registrations are required for horse, rider and owner? How many competitions and scores are required to be eligible for an Adequan®/USDF All-Breeds Award? Are scores required to be submitted to USDF at the end of the competition season? What is the protocol for foals that do not yet have registration papers by September 30? How can I verify if an All-Breeds Declaration is on file with the USDF for my horse? My horse is not appearing in the Adequan/USDF All-Breeds preliminary standings. Why? What awards does each PO offer? What is the deadline to declare a horse for the all-breeds awards program? Can I change my horse’s all-breeds PO declaration? When is the deadline for making any corrections? To declare a horse for the USDF All-Breeds Awards Program, you must submit a copy of your horse’s breed papers, completed All-Breeds Awards Declaration Form and $35 declaration fee to USDF. A current list of the all-breeds POs may be found on the USDF website. The horse must have a USDF Lifetime Horse Registration when scores are earned. The owner must have a USDF Participating Membership (PM) or Business Membership (BM) and be a member in good standing of USDF when score are earned. 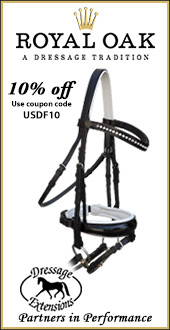 Rider must have a USDF PM and be a member in good standing of USDF when the scores are earned. It is also strongly recommended you contact your PO to ensure you are aware of their requirements. If your PO offers recognition for all-breeds optional award divisions (musical freestyle, adult amateur, junior/young rider, vintage cup, para-dressage rider of the year, FEI five- and six- year-old, USEF four-year-old, materiale or dressage sport horse breeding) award rules pertaining to that division must be fulfilled. To see a full list of rules and requirements, log into the USDF website and view the USDF Member Guide. No, USDF keeps track of all scores obtained during the entire competition year. However, competitors are responsible for monitoring their scores on USDFScores.com to make sure all competition results have been submitted and are entered into the USDF database correctly. What is the protocol for foals that do not yet have registration papers? Owners of current year foals who have not yet received breed papers from their PO may submit a letter from their PO stating that the foal is eligible for the all-breeds awards with their organization. The deadline to declare foals of the current year for the all-breeds awards program is September 30. To verify that your horse is declared for the all-breeds awards program, log into USDFScores.com and view your horse’s summary page. 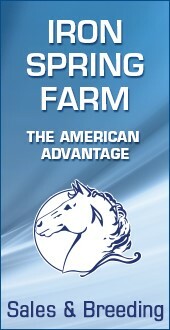 You may also log into the USDF website and view the Owner’s/Lessee Horse Portfolio Search for this information. Please note you must have a current USDF Group or Participating Membership and be logged into the USDF website to access this information for free. Check the USDF Member Guide and USDFScores.com to ensure that all scores have been recorded by USDF and that you have met the USDF minimum requirements for the award. If the horse has met all USDF requirements and is still not listed in the Adequan®/USDF All-Breeds preliminary award standings contact your PO to make sure that the horse has met their minimum requirements and that they have marked your horse as eligible to receive awards with them. 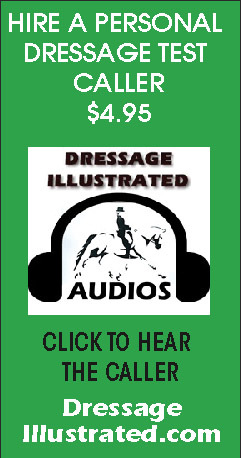 The Adequan®/USDF All-Breeds preliminary award standings updates once a week. If all requirements have been met please wait a week to view the updated rankings before contacting USDF or your PO. Do all POs award all possible categories? No, given that there are enough horse’s that have met the minimum award criteria in the open category, POs must award first and second place in each level (Training Level through Grand Prix) of the open division. The open division includes all riders, regardless of rider status. POs have the option of awarding up to five places per level. Given that there are enough horse’s that have met the minimum awards criteria, POs must award at least first place in each level of the optional award divisions that they have chosen to recognize. A list of which division each PO has chosen to award can be found on the USDF website under their contact information. All-breeds documentation for the current year must be submitted to USDF by August 1 of the award year or late fees will apply. Current year foals have until September 30 of the current year to declare for the all-breeds awards program. No declarations may be made for the current year after September 30. Yes, once an all-breeds declaration has been made, it can only be changed by submitting the All-Breeds Awards Declaration Form along with the applicable breed registry papers and the $50 declaration change fee by August 1 of the award year. The deadline to notify USDF of any issues with a horse’s all-breeds awards declaration is September 30 of the award year.